Your local Mitsubishi Diamond dealer and partner. 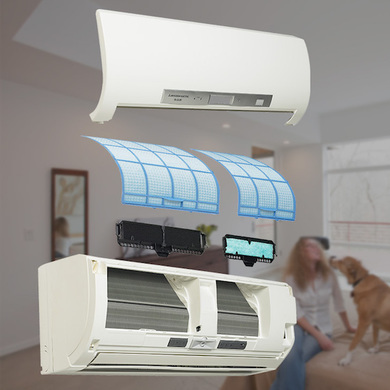 If there are areas in your home or business that you find impossible to cool or heat properly, AirCool's Mitsubishi Electric products has the answer for you. Smart Technology Changes the Way You Experience Comfort - From i-see Sensor technology that scans the room to locate trouble spots, to Mitsubishi Electric's multi-part filtration system, gives you the the optimal cool experience and comfort. Eco-Comfort Technology - Keep your home a comfortable temperature without negatively impacting the environment. Every unit utilizes environmentally friendly refrigerant that has zero Ozone Depletion Potential (ODP). Our systems reduce your energy consumption in your home, which means are doing your part to leave less of a footprint on the environment, all while saving money on your energy bill. Adjust your settings so that every room in your home is the perfect temperature when you arrive home from work or a long vacation. Keep the kids comfortable after school, warm up your bedroom before you’re ready to settle in for the night, and instantly adjust your settings in response to changes in the outdoor temperature. You don’t control all of the lights in your home with a single switch, so why would you control your home’s temperature from a single thermostat? 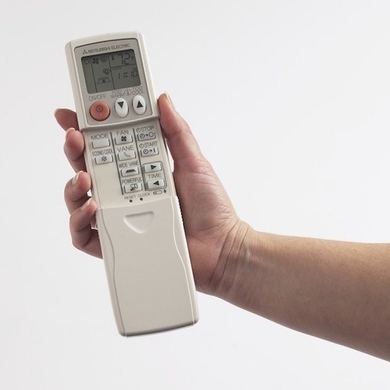 The power to control the temperature in any room of your home using a wall, ceiling, or floor-mounted indoor unit, whichever works best for the specific room. Fine-tune your comfort while saving money at the same time by cooling and heating only spaces you use. Each zone of your home operates independently through its own control system, so people in different rooms can set the temperature at a level that keeps them the most comfortable. Both the indoor and outdoor Mitsubishi Electric units operate quietly - some as low as 19dB(A) - quieter than a human whisper. With just three major components – the indoor unit, the outdoor unit and the controller, the system is installed quickly and easily, and the end result is free of the noisy components that make up traditional cooling and heating solutions. Only a select few mechanical and ventilation contractors are Mitsubishi Electric Diamond Contractors... AirCool is one of them. This is no easy task! What it takes to be a Mitsubishi Electric Diamond Contractor. Mitsubishi Electric Diamond Contractors are known in the industry as independent dealers with the highest level of accreditation, training, and hands-on expertise who have invested time to professionally develop their craft at one of Mitsubishi Electric’s approved training centers. Mitsubishi Electric Cooling & Heating has selects the finest HVAC distributors in the industry to carry these products and, works with them, and has assembled the best and most knowledgeable HVAC contractors (our Diamond Contractors) to provide you with the finest sales, installation, and service support possible. AirCool, Ltd is proud to be one of those select few Diamond Contractors and is constantly working hard to continue educating our staff with both in-house trainings and at Mitsubishi facilities. Choosing AirCool for your next AC service or installation is the only way that you can be certain of full warranty protection and unmatched performance. 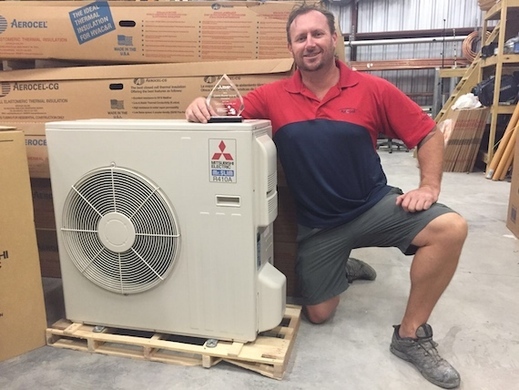 2019 AirCool Ltd - Mitsubishi Electric TCI.